"When I was growing up in my hometown of Flint Michigan I would watch TV, go to movies, and read books and they would be set in lots of different towns in the U.S.. I noticed that lots of towns some of them pretty small and obscure to be represented in the arts. Flint however, was mostly ignored, (except for the TV program called The Fitzpatricks an hour long drama series set in Flint about a steel worker and his family...wha?). Then, when I was in high school I came across a book by Theodore Weesner called The Car Thief. 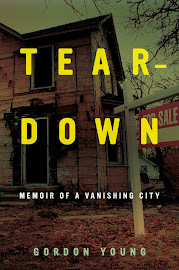 It is set in the early 60s and while it is never called by name the city in which the novel is set is clearly Flint. The road names, the descriptions and the landmarks are all Flint. Of course I was quite happy to read this book because I had always wondered why Flint wasn't used more often in fiction, or as a setting for TV and movies. We certainly have an interesting mix of people, and a colorful history. Well I started reading the book and my excitement that it was set in Fling was replaced by the excitement that the books was really well written and the story was amazing. One of the best novels I've ever read. I often list it as one of my favorites. "It's about Alex, a boy who lives alone with his alcoholic factory worker father. Alex is troubled since his mother left and spends his free time stealing cars and taking them on joy rides around the city. Soon he's caught for one of the thefts and is sentenced to spend time at the juvenile Detention Center on Pasadena Ave. The book is sad, and really a wonderful story. I recommend it to anyone who enjoys a good book about coming of age, or if you're from Flint and want to read a good book set in our hometown." Sarah Swart's old house on Milbourne Avenue. 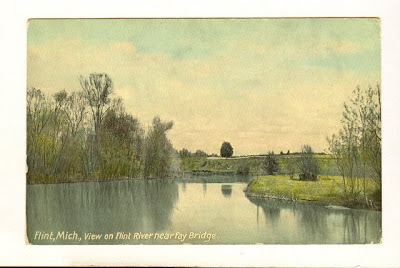 Sarah Swart left Flint in 1982. She returned with her husband, Victor, this summer for a reunion of the Flint Academy classes of 1979 through 1988. She sent me notes and photos from her trip, including details of her visit to Hidden Park. I managed to lose the rest of the travelogue somewhere on my computer until today. So here are some more details of Sarah’s trip home. "I used to live on Milbourne Avenue in the Summerfield Elementary neighborhood. My mother heard that our old house is now boarded up. I wanted to investigate, but I’d been told by a few people, including one at the dinner-dance the night before, that the area is now “rough” and I should be careful: Lock your doors, and don’t stop. "Victor and I had breakfast kitty-corner from the Genesee Valley. That’s where I had my first job at B. Dalton Bookseller 29 years ago. "All along Miller Road I was struck by how much has changed—and a few things that are still the same: Kmart, and the building that housed Moy Kong. 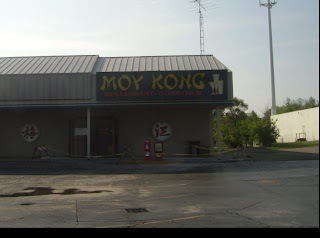 The restaurant is out of business, but I still remember Moy Kong’s [Left] delicious cubes of pressed duck. After we turned left on Ballenger Highway, I saw Clyde Burtrum Furs, apparently open. It has no significance other than that it tickled an ancient memory — print advertising? Radio? In any case, I was glad that it’s still around. I got shots of McLaren Hospital and King Arthur’s Pasties. 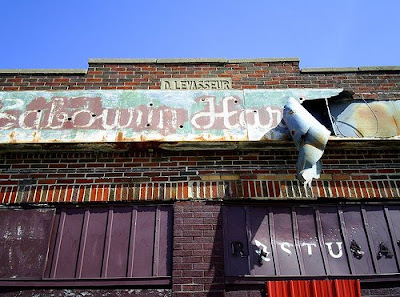 "We turned right onto Flushing — noticing the absence of Paddy McGee’s and Sorrento’s (the latter of which we will see later, out on Pierson Road) and continued east to Chevrolet Avenue. In moments we were driving past the boarded-up Longfellow Middle School, where I spent some miserable time back in the day. "I was in a history class there once and had a near-breakdown, standing up and screaming at all my classmates that I didn’t know what they were doing there if they were going to make it impossible for teachers to teach or anyone to learn. Whew. 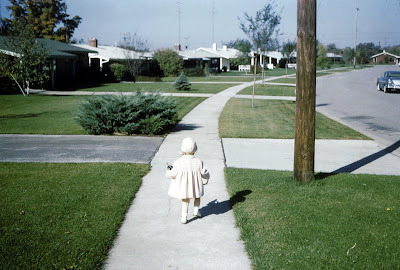 "A left on Mackin and a right on Milbourne, and I am walking home from school again, nine-years old. "Milbourne is still a lovely street, with trees arching overhead and nice houses, each well-designed and well-proportioned. Some are less well-maintained than others, but I get no sense of danger. Grant you, this perspective could be foolish, and it is about nine in the morning. I point out where the Haases used to live on Clement Street, and where the little girl who pulled out her own eyelashes would stay sometimes with her dad near Begole. 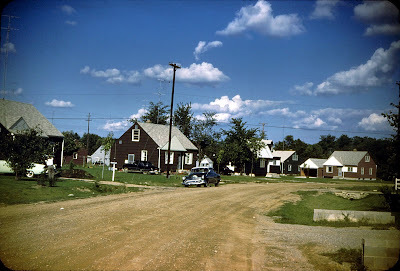 "Turning onto Copeman from Chevrolet, the first two houses on the left were boarded up, one on the inside [Left]. 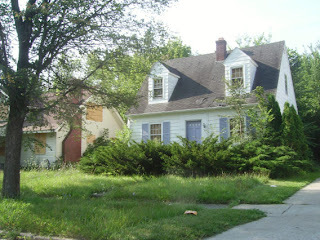 A few other homes were empty or seriously bedraggled. I tried without success to identify the house of a girl named Dawn, who used to play The Carpenters Greatest Hits over and over. "Then we were at my old house. 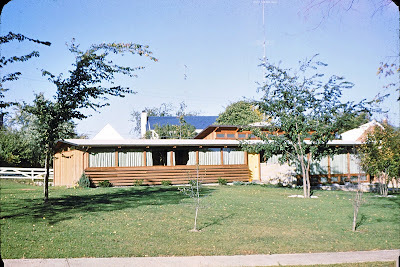 Although the porch roof was sad, with greenery growing from its sloped eaves, it was still the same house, somewhat funereal in atmosphere (always was) but also attractive in a quiet, stately way." What happens when four young Flintoids try to "find themselves" by drinking and skiing? Read The Passenger to find out. Flint's MC Breed is dead at 37. 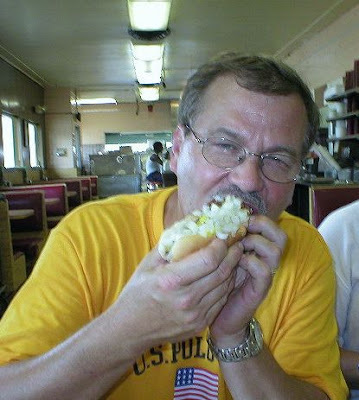 Mark Marku, the Yugoslavian-born owner of Clio Road Coney Island has rechristened his restaurant. The new name? Obama Coney Island, of course. "Herbert M. Hart didn't shy away from the truth or going after what he wanted," reports Shannon Murphy of The Flint Journal. "He spoke four languages, started his own church and saw the importance of being blunt with youth. "That was his favorite saying: 'I'm raw and uncut and bring it to you like it is,'" said his mother Nina Hart of Flint. "If it was telling them to pull up their pants or cover their (chests). And they (the youth) kept coming back to hear him say it." "The Rev. Herbert Hart, pastor at New Berea Ministries in Burton, died Monday night after being shot in the head while driving to his sister's home, said family who believe Herbert Hart was hit by a stray bullet. "Police have released few details about his death, but said he was in a sports utility vehicle when he was shot about 7:15 p.m. at Myrtle Avenue and Marvin Street." "I have been painting works of art for about five years now. And I’ve learned that the more I paint, the less I really know about painting. There is so much to be explored in paintings and so many ways to create them. What I love to paint most are landscapes. I naturally gravitate towards the subject of landscapes because of my life-long appreciation of the natural world, its connection to human life, and the beauty of creation. "The most recent work that I have created has been focused on color relationships, design, and paint application. Recent paintings include palettes that are softer and more muted using deep and pale hues, unlike my earlier works, which were often brighter and more saturated. I have been in the habit of trying to unify the tone of my paintings across the entire surface, by using a few colors that are mixed into all subsequent mixes. This color unification of a painting works compositionally and helps in defining the mood of a particular piece. "I am often motivated in trying to execute my paintings in an alla prima fashion, or 'at first try.' I believe a one time go at a painting, if done properly, keeps a painting fresh, breathing, spontaneous, and alive. This immediacy also aids in keeping things simple in terms of design. 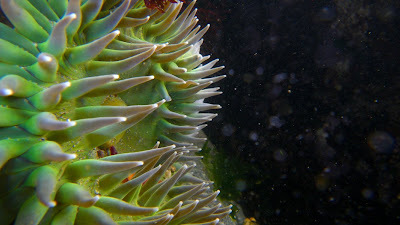 Compositions that are cleaner and simpler often reveal more impact than those that are cluttered or overly complicated. I try to keep it simple. "I am also a custom home painter. After spending a few years painting homes, I have utilized some of the concepts involved in this trade that have helped me as an artist. The level of detail and precision that is necessary to gain customer satisfaction and confidence in painting their homes’ has given me a greater sense of awareness of the overall level of craftsmanship that is also required to make fine art paintings. Some concepts that I have paid more attention to include surface preparation, paint application, surface sheen, and final presentation. The experience I have gained from this trade has proved to be invaluable in the progression of my fine art painting." With the Big Three hogging all the publicity — and getting all the flak — it's easy to forget just how many businesses are begging for a Federal bailout. Luckily, we have Gimme My Bailout to keep track for us. "The number of cases of infectious syphilis continues to climb in Genesee County, said a recent alert from the Genesee County Health Department. "As of the first week of November, there have been 109 reported cases this year: a 2,000 percent increase compared to the same time last year when there were five cases reported. "The rate is now three times higher than Detroit, which historically has the highest rate in the state." I never thought I'd live to see this day...a Mitch Albom column I actually like. It's a miracle. "Around the state, home foreclosures are commonplace, the trust fund that pays unemployment benefits is millions of dollars in debt, food banks are struggling and health agencies are reporting an uptick in people with symptoms like anxiety and depression. Suicides were up in recent years, although officials caution against drawing any direct links between deaths and the economy. "In one sign of distress, in the first nine months of this year, some 130,000 Michigan residents who had lost their jobs remained out of work so long that they ran out of regular unemployment benefits. By the middle of this month, 63,000 people (who had already run out of their ordinary maximum benefit — as many as 26 weeks, at as much as $362 a week) also ran out of an extension authorized by Congress." Here's a blog with more info than you probably ever wanted on the Flint and Pere Marquette Railroad, which operated from 1857 to 1899. If you are really, really, really into trains, you won't be disappointed. After a trip to Big Sur, Flint Expatriate artist Eric Koziol created an online gallery featuring his first underwater photo series. Go here to experience "the strange and luscious visual results." "People can't stand the thought of somebody getting paid $70/hour to properly seat a head gasket. What they don't understand is that $70/hr represents their total pay package - not take home pay. A big chunk of that is benefits and most of that is healthcare. Those costs have gone up like mad in the past few years so shame on the UAW for covering that but it is not the UAW's fault that healthcare has gone up so much. Plus, and I can speak from some experience, I would ask any of those clowns to spend a day in an auto plant shooting rivets and ask them if $15/hr. as a new hire or even $35/hr (estimated take home before taxes is maybe $70K) for a 30 yr. person is worth it. I think it is, those jobs are tough!" Congress takes the novel approach of asking the Big Three just how they plan to spend the bailout money they so desire. After their dismal performance at recent Congressional hearings, do you think the chief executives at the Big Three can see the writing on the wall? "Representative Henry A. Waxman of California ousted Representative John D. Dingell of Michigan from his post as chairman of the influential Committee on Energy and Commerce on Thursday, giving President-elect Barack Obama an advantage in his plans to promote efforts to combat global warming. "Besides seating a committed environmentalist as head of the energy committee, the vote also removes one of the auto industry’s best friends from a key leadership post — further evidence of how much power the American car-makers, whose executives have been pleading for federal money, have lost in Congress." Thomas Wirt — a.k.a. Jar With Most — has graciously let me use several of his photos on Flint Expatriates. Here's an interview where he discusses his photography and his life in Flint. Most Flint Expatriates define themselves by where they went to school. What’s your academic history? 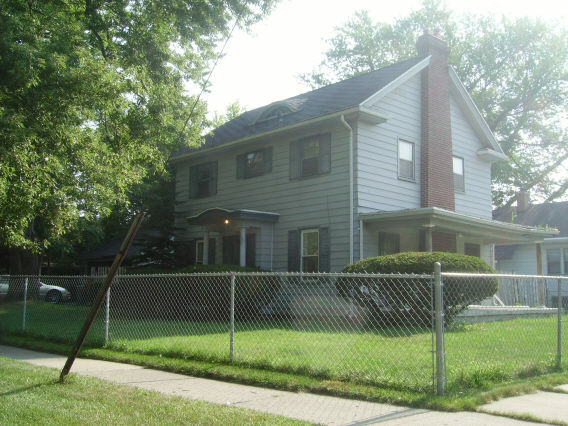 I grew up on the west side of Flint, my family's house is on Downey Street, two blocks away from Zimmerman School. My parents still live there. 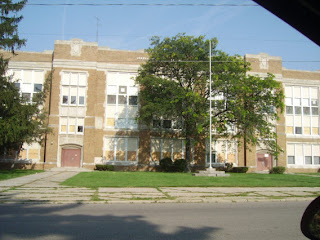 I went to Zimmerman, when it was an elementary school, from kindergarten to the second grade, 1963 to 1966. In 1966 Eisenhower Elementary School was built, and I went there from 3rd to 6th grade, then back to Zimmerman for junior high, from 7th to 9th grade. 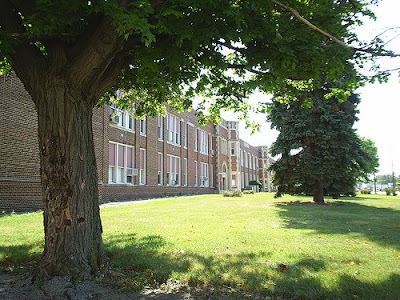 I went to Southwestern from 1974 to 1976, but I skipped a lot of school, and had to make up my last year of school at the Flint Schools of Choice on 5th Avenue, graduating with a Southwestern diploma in 1977. I got interested in photography in the mid '70s, it helped a lot that my father had a darkroom in our home's basement that I used. 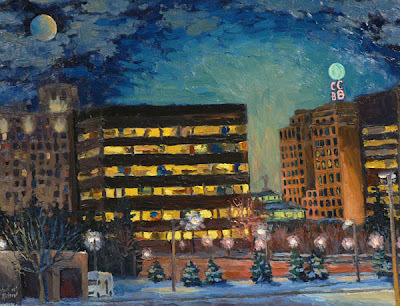 My father worked at The Flint Journal, and later at Smith-Bridgman's, as a commercial artist in the 1960s. 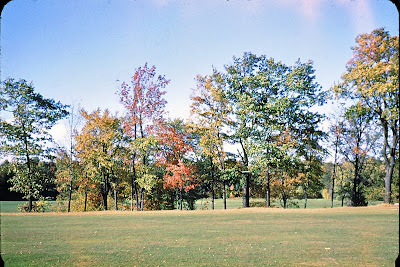 After I graduated from high school, in 1977, I went to work at JD Color Lab on Corunna Road, working in darkrooms and developing film. 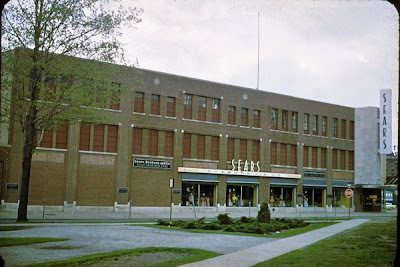 I worked there until 1983, then went to work at a 1-hour photo lab in the Eastland Mall (now the Courtland Center) until 1986. At that time, I wanted to get another job, but I couldn't find anything in the photographic field in the Flint area. 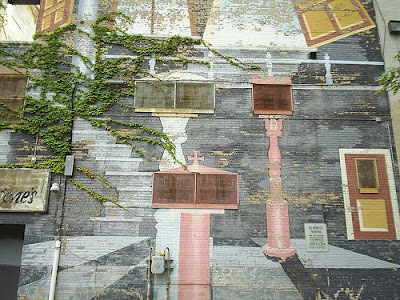 I moved to Lansing in 1986, and worked at a custom photographic lab until 1997, when film-based photography started to decline. I am no longer employed in the field of photography. I take more pictures now with my digital camera then I ever did with my film cameras when I was working in photo labs, and when I had my own darkroom. 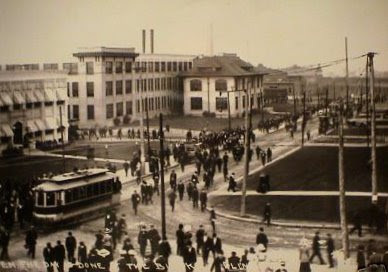 The D. Levasseur Building on the corner of North Franklin Avenue and Leith Street. You have a gift for capturing the reality of Flint in an affectionate way, if that’s the right term. How do you choose your subjects? 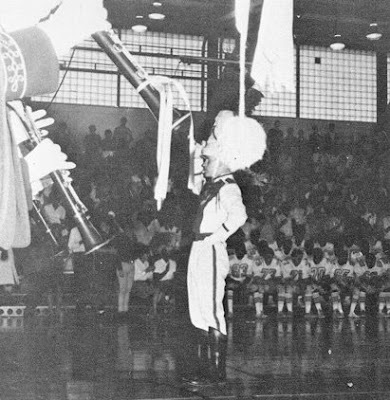 Some of the subjects I choose are for nostalgic reasons, places that were important to me when I was growing up, such as Southwestern and Zimmerman schools, and St. Matthews school, where my sisters went to school. 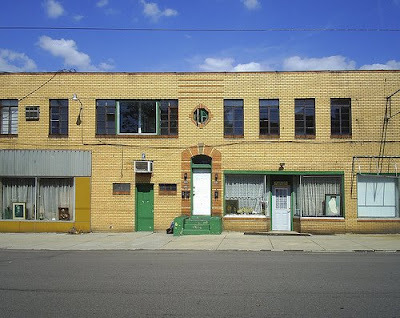 My parents had a hobby shop in "The Jade Shoppe" building, before I was born. Your observation that my shots "seem to capture the promise Flint once held and the reality of its present state" and "are depressing and nostalgic at the same time" is very astute, that is exactly what I think about and feel when I see these scenes and take the pictures. 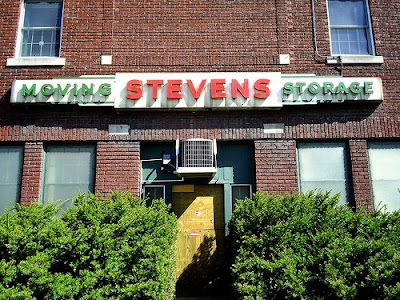 Stevens Moving and Storage near the site of the old Buick City factory complex. I've been living in Lansing, only about an hour away from Flint, for the last 20 years, and come back to Flint kind of sporadically, sometimes I go several months between visits. Being away for such long periods, I haven't seen the changes that slowly happen, and I'm struck by how different it is from when I lived there. Like how there is razor wire all over the place. I don't remember seeing that when I lived there. 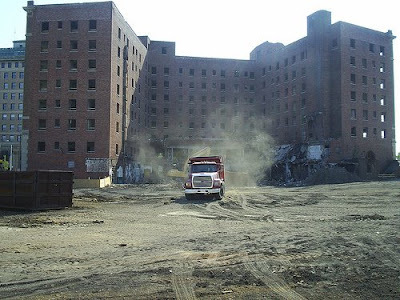 And how there are almost no signs of the factories that were once what Flint was all about. I think that if I was living in Flint all along, I may not be as interested in my home town as I am now. When I started taking my digital photos of Flint a few years ago, it was just for my own collection, I just wanted to have some pictures of home that I could look at. I've done Google searches for pictures of Flint, especially the Flint that I remember growing up, and could find almost nothing on the Internet about it, so I decided to share the photos that I have with the world. I will continue taking, and posting more pictures of Flint. "The three CEOs have said they don’t have the cash to operate next year without help and warned that the failure of the industry would have dire consequences for the U.S. economy. "And yet GM CEO Rick Wagoner, Ford CEO Alan Mulally and Chrysler chief Bob Nardelli arrived for these historic hearings on private jets! That’s right: The men at the helm of an industry so crippled that it has to ask for taxpayer money to survive flew on private jets. And they wonder why the American public is so angry about these bailouts. "'If you’re gonna streamline your companies, where does it start? And it would seem to me as the chief executive officer of those companies you can’t set the standard of what that future is going to look like, that you are really going to be competitive, that you are going to trim the fat, that you don’t need all the luxuries and bells and whistles … it causes us to wonder.'" We're all talking about whether GM will get a lifeline from the Feds. But I hadn't heard that GE has already gotten one, albeit not of the same sort GM is looking for. Last week the federal government, or more specifically the FDIC's Temporary Liquidity Guarantee Program agreed to guarantee "as much as $139 billion in long- and short-term debt through next June." How'd they manage that? Because the company "owns a federal savings bank and a Utah industrial bank whose deposits are insured by the FDIC." "The city of Flint says it dumped 750,000 gallons of raw sewage into the Flint River on Friday after a 6-inch bypass line broke, the second large sewer spill from the city since last month. "Untreated sewage was diverted to the river from the city's Water Pollution Control facility for more than 10 hours, according to a report filed with the state Department of Environmental Quality." I think that is what they are trying to do. At least cut production and close factories to stay in line with market demand. The problem is market demand is falling so fast that it has become very difficult to keep up with it. Having said that, automakers still have an incredible amount of fixed costs that don't go away when you shut down production, not to mention the legacy costs of the retirees. But the estimated market demand this year in the U.S. is under 12 million and falling fast. At its peak in the late ‘90s the market demand was 17 million. So something has got to give — supply is outpacing demand and this keeps prices low but doesn't allow for profitable growth. Every car company would love to be capacitized right now to run profitably for their market share of 12 million units. But nobody is and that is why you are seeing this huge outflow of cash. Everyone is spending money to support a 20 million capacity and the fixed costs kill you when the market only supports something less than 12 million. The upside of bankruptcy is that the auto company could reopen all of its labor contracts. The downside is —and it is huge — who would want to buy a car with a warranty from a company in bankruptcy? Plus, all of these clowns are writing editorials claiming that revamping these labor contracts would result in huge savings. Not necessarily so. I've heard that it would not save us that much money over the near term, certainly not enough to warrant filing for bankruptcy. So it is capacity, man, and the Americans were capacitized to build trucks and Honda was capacitized to build cars. They wanted to build SUV’s and trucks like the Ridgeline, but they weren't a hit — lucky them — so they didn't add to those factories. We wanted to build more small cars, but the Fusion and Focus didn't beat out the Camry and Accord — unlucky us. Now with gas at $2-$3/gallon, that seems like a good mix. Some people will want cars, some will want trucks, some will want SUV’s. And if we close enough factories in this country and capacitize to around 12 million units, we could all start to grow profitably again — everyone. That is why the bailout money is so important. All these companies want to do is get to the other side of the river with their company still intact. If the American car companies don't get there, when — and not if — the American economy picks up and we start buying cars and trucks again, we can look forward to shipping all of our money to Japan in the form of Toyota profits and get in return some mediocre paying factory jobs in the south. Sounds like a good investment to me to help out the American auto industry. The problem is the executives. The auto industry labor movement is a reaction to the executives' culture of corruption and abuse. Today, they can't get the National Guard to shoot at auto workers because it's illegal, not because they don't think it's a good idea. Auto execs will blithely lie, cheat, steal, or even do something unethical so they can continue to squeeze the goose and shoot the golden eggs in their own narcissistically general direction. (These tactics, which are rationalized as being good business practice, always backfire. GM executives are finally in the path of their own collective backfires - the emotional flatulence of all of their customers, past and present, who see through the childish games. Far from controlling their message, they have created a mess that they can't control.) And when the goose is dead, they can walk away rich, fat and drunk on GM executives' wine of choice, Blue Nun. Realistically, you can't deal successfully with a cabal of pathological liars. They've consistently ruined it for everyone else. With the executives out of the picture, all of the other problems can be solved by the intelligent and decent people who are already in place. First, Michigan's congresspeople don’t just do what they’re told by the auto industry; they also do what they’re told by Big Labor. They are worse (much worse) than useless—-they are a large part of the problem. And Big Labor priced itself out of work-—is this really a controversy? I remember line workers (or was it tool-and-die folks?) making $48 an hour. Today, BA in hand, I make $19.50 an hour. Thanks to Mark Brewer for passing this gem along. "Police on Thursday night [Nov. 13] were investigating the slaying of a man shot numerous times outside a party store on the city's north side," reports Bryn Mickle of The Flint Journal. "A man who police believe to be in his late teens or early 20s was found shot in the upper body about 6 p.m. near the front door of a party store at Sherman Avenue and Harvard Street. "Police found multiple shell casings nearby from two different types of guns." Go here for more video. The Flint Journal — like many newspapers across the country — appears to be in a death spiral. And freefromeditors.com is continuing to do an excellent job chronicling its demise with insider info and analysis. In other words, he's doing the kind of reporting that used to be done at daily papers. 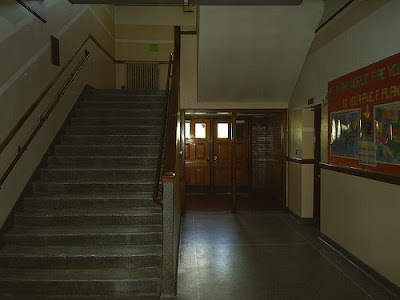 Zimmerman School, in all its glory, courtesy of Jar With Most, who's been saving Flint on film since the seventies. Okay, I have a tendency to go overboard, so someone please tell me to take a break from the Angelo's nostalgia. Please. Stop. Me. Both these shots are from zarzuela, who has some amazing photos on flickr. Thanks for the great shots. 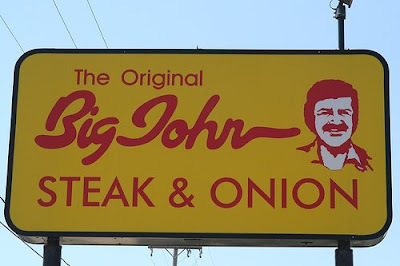 So in a Celebrity Deathmatch between Angelo's and Big John, who wins? And I don't want any middle-of-the-road comments like "They're both delicious and very healthy!" Take a stand on this vital issue. A reader asked an interesting question: Are there any Starbucks in Flint? According to the coffee monolith's website, Flint has two stores — one at 3822 E. Court St. and one at 3243 Miller Rd. In other words, right about where you'd expect them to be. Now if Starbucks started serving fries with gravy, they might do a little better in The Vehicle City. Jane (Fisher) Hogan's photo of the Angelo's menu prompted a flurry of reader interest, so here's an exterior shot from Jane, proving that you can't judge a fine restaurant by its parking lot. 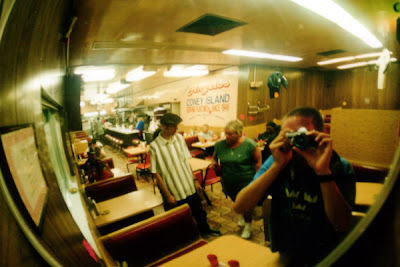 "Speaking of things I miss: Here are three of them pictured above...Angelo's, my twin brother Josh and my mom. 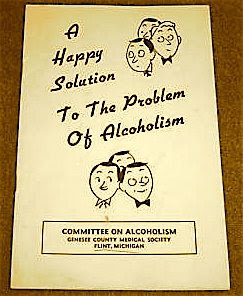 But, since this is about Flint, I'll stick to Flint related things. My mom was born and grew up in Flint. She used to go to Angelo's when she was young. I think Angelo's is a place that you only really understand if you're from Flint. EVERYONE in Flint knows Angelo's. I've taken other people ("outsiders") to Angelo's and they're immediately disgusted when we walk in the door. I'll admit, Angelo's is the dirtiest diner you'll ever eat at. But, and I don't totally understand why, I love it. 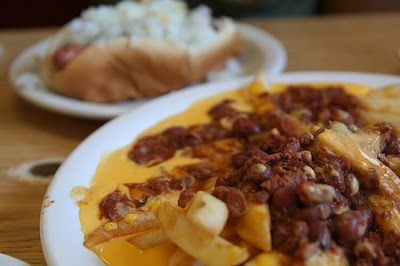 Before I moved to Vermont, I'd go to Angelo's at least once a week and usually more. They used to be open 24 hours before the Health Department made them shut down for a few hours every night to clean. I used to show up at Angelo's at 4-5am to do math homework and study before tests. I even spent New Years at Angelo's one year." Jason and Josh are both photographers. You can find Jason's recent work here. And head here to check out Josh's work. They were both born in Flint and lived off Ballenger on Concord until their father was laid off from the truck and bus plant. "He was lucky enough to get another job with GM in Pontiac," Josh told me in an email. "When that happened our family started moving around a lot: Columbiaville, Lapeer, Flint, Davison, Burton, Swartz Creek, Grand Blanc, etc. We both went to U of M Flint for college, at least the first few years, and both of us identify Flint as our hometown." I was filled with nostalgia when I saw pop listed on the beverage line. Soda will always be pop to me. 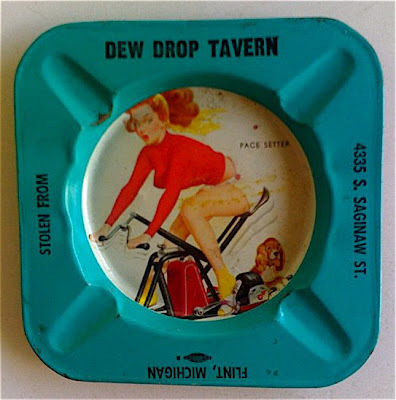 Speaking of drinks does anyone remember a small drugstore on Lewis St. near McDonald Dairy that had a fountain drink called a Green River. I think the owner lived above the store. "Green River soda was introduced to Midwestern drinkers in 1919, just as Congress was passing the 18th Amendment establishing Prohibition. When Prohibition officially went into affect on January 16, 1920, some breweries turned to making a nonalcoholic drink call Near Beer, while others were churning out ice cream. The Schoenhofen Edelweiss Brewing Company of Chicago turned to Green River. The soda was poured into old beer bottles and sold in the market. It was an immediate hit. The soft drink was so popular that Al Jolson recorded a song written about Green River. "By the end of Prohibition on December 5, 1933, Green River trailed only Coke in fountain sales throughout the Midwest. However, after Prohibition the brewery made Green River a second priority and sales dropped. In 1950 the brewery went broke and closed in 1950. "In 1992 after a raft of owners, the 73 year old brand was alive only in Seattle. Now Green River is on the rise again. Clover Club Bottling Co., Inc. an 85 year old company, with partners, Ed Kennelly and Joe Troy, bought the brand and are expanding its bottler network. The company has its own trucks, distributing in (4) counties around Chicagoland, and has distributors in (4) states at present. This year Kennelly and Troy, both of whom have 30 + years in the soft drink industry, hope to sign (20) additional distributors and double their distribution. Green River is available in 2 Liters, 1 Liter, 20 oz, cans, 12 oz bottles and postmix. A diet version is also available. "So why is Green River coming back now? According to Kennelly, 'There is no other flavor like it on the market, and it has visual appeal with its bright green color. The brand takes people back to a pleasant time in their life, in the 1950's and 1960's — a time of corner soda fountains and drive-in movies. At first only the old timers were buying, but now everyone is. We get (50 to 60) calls a week from all over the Country from people looking to buy Green River.'" "General Motors Corp. fell for a fifth day in New York trading as House Speaker Nancy Pelosi urged Congress to pass an emergency rescue package for the ailing U.S. auto industry. "Lawmakers should take 'immediate action' before their new session begins in January, Pelosi, a California Democrat, said today in a statement. Analysts said only federal aid can prevent a collapse for GM, and reorganizing in bankruptcy may not be possible because the credit crunch has dried up financing. "'Strategic bankruptcy is not an option for GM,' said Mark Oline, a credit analyst with Fitch Inc. in Chicago. 'This is an issue of operating or not operating.'" Soon-to-be-ex-President Bush just might help out the auto industry, but only if he gets to help the government of Colombia in the process. "Government statistics show that 67,000 factories of various sizes were shuttered in China in the first half of the year, said Cao Jianhai, an industrial economics researcher at the Chinese Academy of Social Sciences. By year’s end, he said, more than 100,000 plants will have closed," reports Don Lee of the Los Angeles Times. "As more factories in China shut down, stories of bosses running away have become familiar, multiplying the damage of China’s worst manufacturing decline in at least a decade. "Even before the global financial crisis, factory owners in China were straining under soaring labor and raw-material costs, an appreciating Chinese currency and tougher legal, tax and environmental requirements. When the credit crunch took hold — prompting Western businesses to slash orders for Chinese goods and bankers to curtail loans to factories — many operations were pushed over the edge." Just who's behind the effort to recall Flint Mayor Don Williamson? "Police are investigating a fatal shooting early this morning [Nov. 5] on the city's northside," reports Shannon Murphy of The Flint Journal. "Police were called to East. Piper Street near King Avenue shortly after midnight for a shooting. 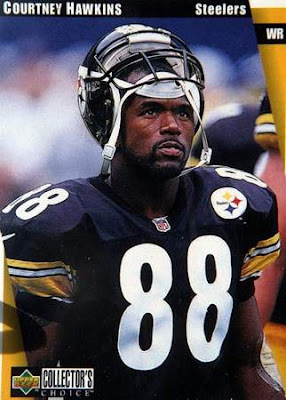 "Police found Cedric Carradine unresponsive in the street. He died of multiple gunshot wounds." Any expatriates out there missing Flint in the fall? Look no further than the Night Blind blog. 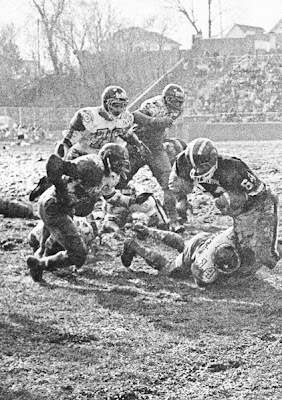 Now that we're into November, you may find yourself missing the old Northern Vs. Central Thanksgiving Day football games. Thanks to former Flint Journal reporter and editor Larry Gustin you can relive some of the action from Atwood on DVD and help restore the old stadium at the same time. "When I learned there was a group trying to restore Atwood Stadium, I thought it would be cool to offer up a few of the great Northern-Central high school Thanksgiving games on DVD as part of the momentum, maybe for fund raising. 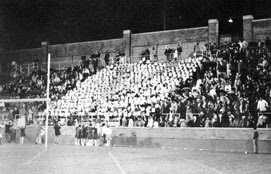 After all, those classic football games made Atwood the city's center of attention along with IMA Auditorium. "I remembered some of the old Northern-Central films were gathering dust atop a file cabinet in The Journal sports department when I worked there 1960-63 (I was then in the news room until 1984). When I asked about the films in conversation with Len Hoyes and Dean Howe, they hadn't seen them in years. Turns out, they were in the bottom of a file drawer. So when I mentioned those old films to Journal sports writer Dan Nilsen at the Buick Open last summer, he said he knew where they were and brought them out to me at Warwick Hills." Ken, a regular reader, has made an order and, although the footage isn't state-of-the-art, he thought it was well worth the cost. Besides, it will probably be more fun than watching the Lions. 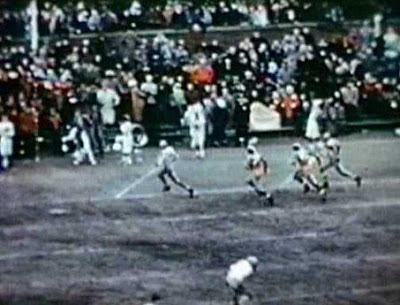 Games available: 1938, 1942, 1951, 1952, 1953 (the color 1953 film has edited highlights and added sound), 1955, 1956, 1957 (first half only), 1958, 1959, 1960, 1961, 1964 (second half only), 1965, 1966, 1968, 1969, 1970, 1971, 1972 (second half only), 1973 (first half only), 1974, 1975, 1976. * No others available at this time (summer 2008). Each film is available on DVD for $25 plus shipping and handling. Half of price goes to Atwood Stadium Authority for stadium restoration fund. Please note films were transferred to DVD as found. Some are in black & white, some in color, quality varies, perhaps not every play is recorded. In some cases, as noted, only half of the game is available. VIDCAM was chosen by the Authority to handle orders. We want more game films! 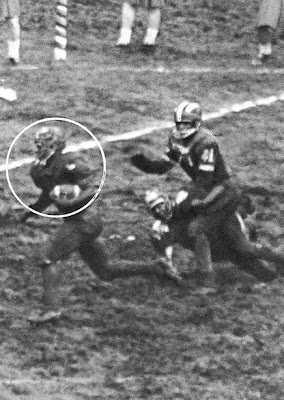 Did anyone you know shoot amateur film of Thanksgiving games not listed above? Do you have or know of an official game film? 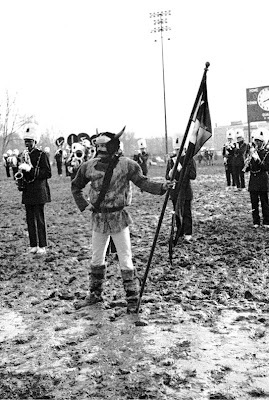 We have a few segments of other games, and want any you may have of Northern-Central games played on Thanksgiving (1928-1976). We particularly want 1947, 1949, 1950, even if it’s only a few feet. "The president-elect said he and his advisers would try to find ways to help the struggling automobile industry, and that he hoped to see enactment of an economic-stimulus package either before or soon after Inauguration Day. 'The auto industry is the backbone of American manufacturing and a critical part of our attempt to reduce our dependence on foreign oil,' he said. 'I would like to see the Administration do everything they can to accelerate the retooling assistance that Congress has already enacted.'" "[Gov. Jennifer M. Granholm of Michigan, one of Obama's economic advisors] is a strong proponent of a stimulus package in the lame-duck Congressional session. Previewing her advice to Mr. Obama, she sent a letter to Congressional leaders on Thursday urging them to finance public infrastructure projects, extend unemployment and food stamp benefits and provide aid to states and the troubled auto industry." "Hmm… have we been selling sewage short? Rob noted the other day that small-scale biogas digesters—which convert human and animal waste into methane that an be used for cooking fuel—can do a lot for the developing world. But now here's Flint, Michigan, thinking even bigger, looking to create a new biogas system that would turn municipal sewage into fuel for the city's bus fleet..."
It's great to see Flint in the news for something other than crime and economic devastation. In Flint, you can get a lot more than stamps at the post office. "The often closed and re-opened Haskell Community Center has closed again, just one day after voters used it as a polling location on Election Day," writes Joe Lawlor of The Flint Journal. 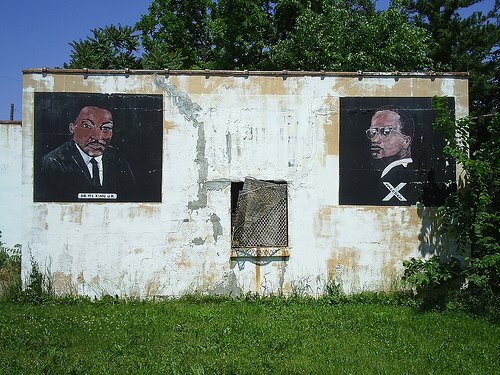 "Workers boarded up and padlocked the Forest Hill Avenue building on Wednesday. Haskell had been closed for several years, but it re-opened in 2007 only to be closed again this week. "Parks director Bob Cook said a variety of factors led to its closing, including a strapped city budget, lack of use and people stealing equipment from the center. "'They didn't appreciate the center, and they took everything they could from it," said Cook, referring to stolen air conditioners and televisions. "There was very light participation.'"